Panasonic the world most famous camcorder manufacturer has launched two New handsets powered by 1.2GHZ Quad core Processor, the Panasonic T11 and P11. Both the mobile handsets comes with same features, except Screen and camera. Both Panasonic P11 and T11 comes with 3G , WiFi, Bluetooth, 4GB ROM and Dual SIM support. There are mobile phones in the market that would compete with theses handsets. Check out Intex Aqua i7, Micromax A113 Ego, Gionee Elife E5, Gionee Gpad G2 (review) and Micromax Canvas Doodle 2. The P1 comes with 5 inch IPS Capacitive display that has 1280×720 pixels resolution, to make sharp image on users retina. It has 1.2GHz Quad core CPU paired with 1GB RAM, 4GB of ROM, 32GB via microSD card slot and runs on Android 4.1 Jelly Bean OS. To capture your favorite movement there is 8MP auto-focus camera accompanied by LED flash and 2MP front facing camera. It offers Dual SIM card slots, 3G, WIFI, Bluetooth, FM radio, universal audio jack , Micro USB port connectivity and houses 2000mAh battery. The Panasonic P11 is 9.7mm thick in terms of thickness and weighs 160 grams. The P11 is priced at RS.16364 and you can buy it from snapdeal. 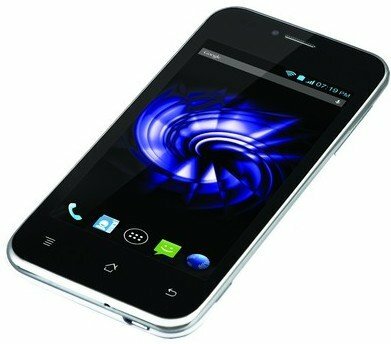 It has 4inch WVGA (480×800 pixels) IPS display, powered by 1.2GHz Quad-core processor integrated with 1GB of RAM and runs Android v4.1 operating system. Well this mobile phone lacks 3G support. 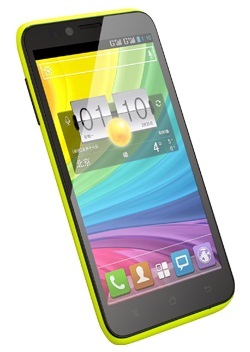 Although is supports Dual SIM cards, 2G, WIFI, Bluetooth with A2DP and FM radio. It packs with 5megapixle rear camera with FLASH and a VGA front facing camera. It also comes with 4GB of internal memory and 32GB expandable memory via memory card slot. It is powered by 1500mAh battery. The price of Panasonic T11 is RS 9520.